I'm sure we didn't invent it, but I've never had it before, have you? We have been munching on it a lot this summer. And it so easy to make. Step 1. 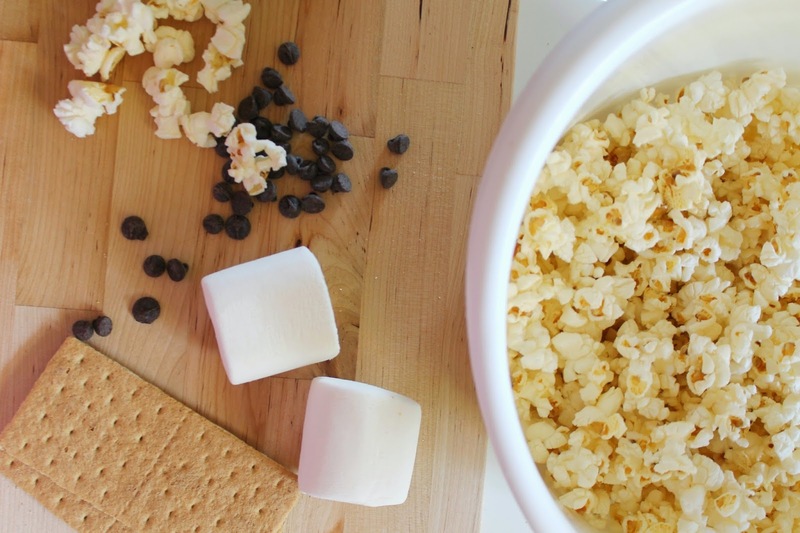 Make popcorn, set aside. Step 2. 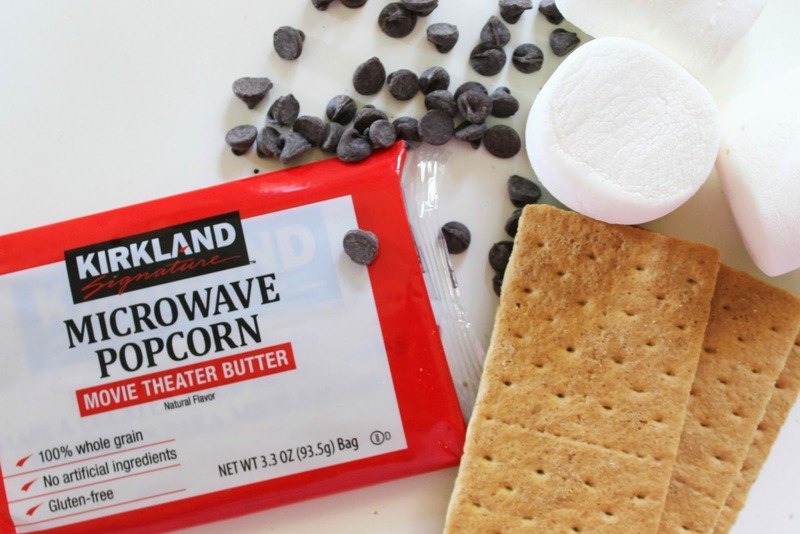 In a large bowl, place marshmallows and chocolate chips in the microwave for 30 seconds or until marshmallows get big and fluffy. Step 4. 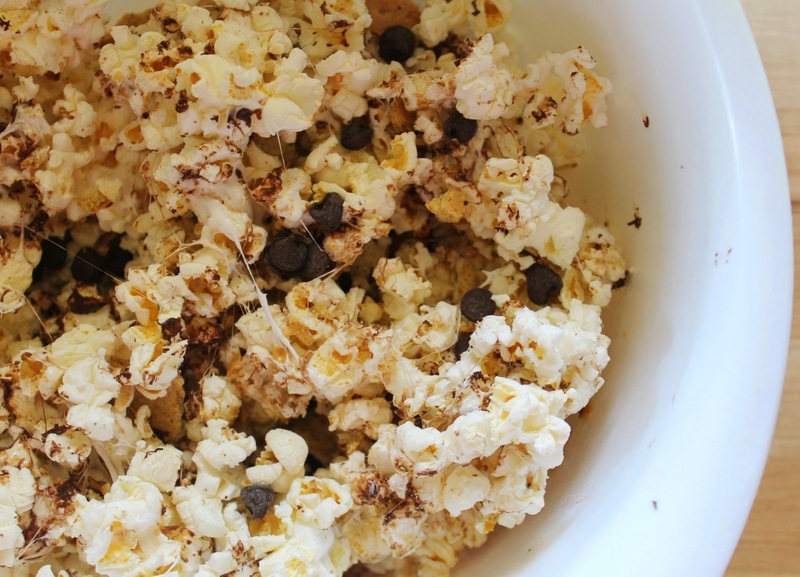 Mix in popcorn, graham crackers and a few extra chocolate chips. Enjoy this super gooey, super delish treat. We like to eat it while watching movies, with a glass of milk, and with plenty of napkins. Oh my goodness, but that looks decadent!